Originally published in 1997, this new edition of Fresh From the Farmers' Market just got a little fresher. With more home cooks falling in love with the unbeatable flavor of farm-fresh fruits and vegetables, there has never been a better time to serve fruits and vegetables at mealtime. This wonderfully useful cookbook is a celebration of market bounty with luscious color photographs and more than 75 mouthwatering recipes. Each delicious soup, salad, entrée, and dessert makes the most of the season's best. 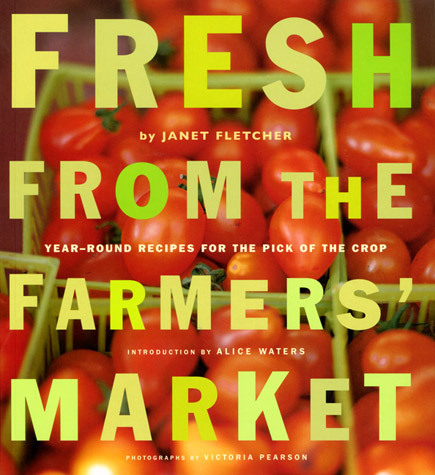 Janet Fletcher guides shoppers through the market, sharing tips on selection and storage as well as advice from the farmers themselves, so readers can turn peak-season produce into delicious eating, year-round.